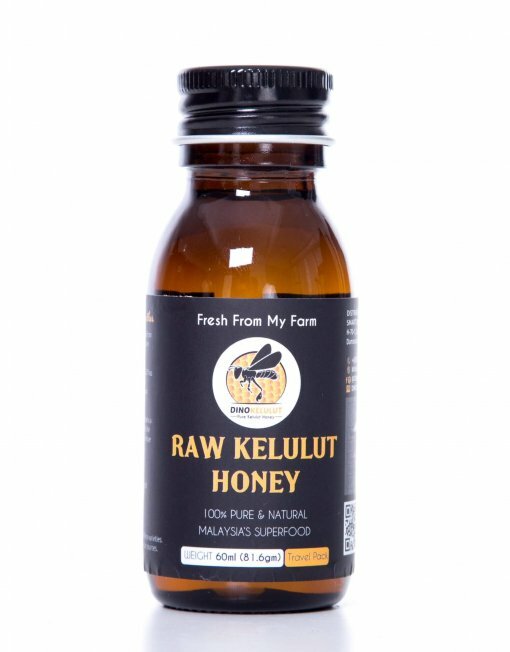 Dino’s Madu Kelulut Stingless Bee Trigona Honey has several amazing benefits. As you may know, the Kelulut bees are smaller in size than the Apis species. Their relatively smaller bodies, therefore, make it possible for them to access flower nectars from the deepest spaces of most blossoms. 1 Tablespoon daily before meal. It is advisable to take the honey on an empty stomach early in the morning, do not eat anything for 30 minutes to an hour so the full benefits of the honey can be absorbed by the body. Dino’s Madu Kelulut a.k.a Stingless Bee Honey or Trigona Honey has several amazing benefits. As you may know, the Kelulut bees are smaller in size than the Apis species. Their relatively smaller bodies, therefore, make it possible for them to access flower nectars from the deepest spaces of most blossoms. We do our best to ensure that our honey products are organically harvested under the most hygienic condition. Little wonder theDino’s Madu Kelulut Stingless Bee Trigona Honey contains many vitamins and minerals and is gradually becoming a household name. 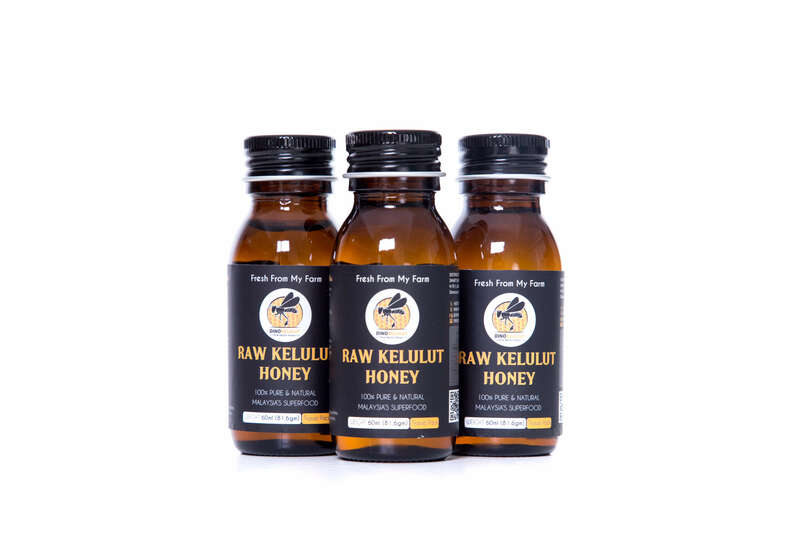 Typical of a pure Kelulut product,Dino’s Madu Kelulut Stingless Bee Trigona Honey has a somewhat more ‘refined’ and distinct golden color than the usual wild honey. It has a mix of a little sweet and sour taste. Dino’s Madu Kelulut Stingless Bee Trigona Honey has many health benefits, including its potency against various chronic diseases. It is also very useful in medicine for both prophylactic and therapeutic treatments. The product is a natural antibiotic , it is highly nutritive and serves as an effective antioxidant in a variety of ways. Dino’s Madu Kelulut Stingless Bee Trigona Honey is a healthy sugar substitute. It helps in accelerating the healing processes for wounds; bladder infections, sinus and flu, respiratory diseases and serves as a natural cure for insomnia. Mudah nak bawa masa balik kampung.